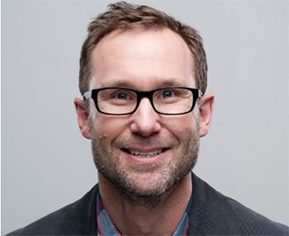 As Global Executive Creative Director, ADX, at Amazon Media Group, Anthony Reeves is responsible for working with brands to build innovative and emotional connections and experiences with Amazon customers tied to their products and services. Reeves joined Amazon in August 2016 from Publicis Groupe. He was the Chief Creative Officer of Moxie, where his responsibilities included creative leadership of the company’s eight global offices, and improving creative and strategic quality. While there he built the Future Experiences lab, the social production hub, Unit3C, keynoted at Cannes and won many international awards. Prior to Publicis Groupe he was the Executive Creative Director of FCB West. His particular skills lie in team development, particularly turning around non-performing teams. Under his leadership, the team has won multiple awards. He did this by hiring a diverse range of creative professionals, balancing empowerment with clear direction and emphasizing creative solutions. He is dedicated to promoting purpose-inspired benefits and serving customers, not selling to to them. Reeves is involved in the 3% Conference, the See It Be It movement and regular judge at creative award shows.